It was our last night in the desert and I was lying atop my sleeping bag, gazing into the starry unknown. 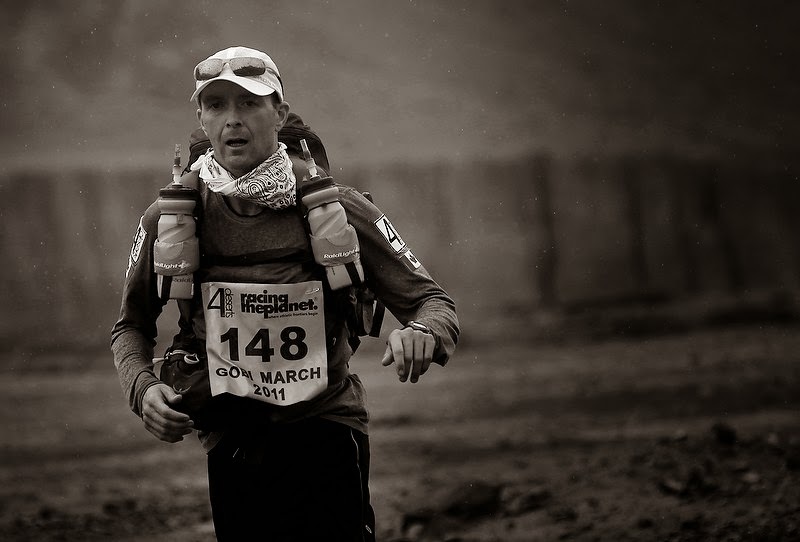 My mind was occupied with musings of the finish line the next morning, a mere 14km away. 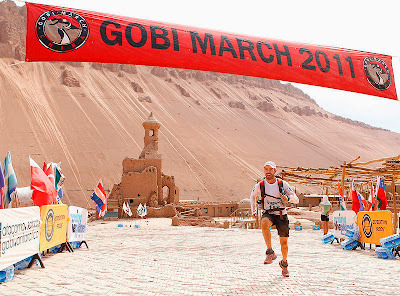 Completing the Gobi March would mean the culmination of a journey that had begun months before the actual race did. The midnight air had been eerily calm, but the wind suddenly stirred to life. And with it, my thoughts drifted to the previous evening and how it felt to bury my chemo port in a dune—the thing had weighed just a few ounces but afterwards my pack felt lighter than air. Right on cue, the wind whipped up with more ferocity and showed me the Gobi version of “lighter than air” by sending three sections of canopy (about 30 feet) sailing over my head. Sandstorms can seem as though they’ve come out of nowhere, especially in the darkness, and this one hit like a freight train. Somehow it reminded me of my cancer diagnosis. Getting back to the tent, and anchoring it down, is an adventure story for another day. But once I was inside, with a t-shirt turned sand mask over my face, I couldn’t stop smiling from ear to ear. I mean... a sandstorm, really!? 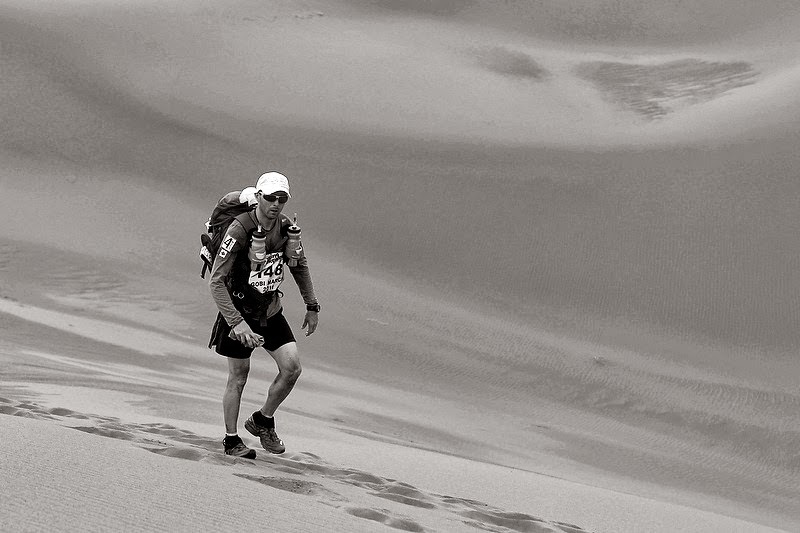 The week long race had thrown virtually every weather condition and terrain possible for the desert—and some that weren’t—at us. And in many respects it had been a microcosm of my entire cancer experience. There were moments that pushed me to my limit, and then pushed me beyond. Yet, as tough as it was, there was never a moment when I thought I couldn’t make it; or that I should quit. I did the only thing I could; kept moving forward one step at a time. I certainly don’t claim to be an expert on cancer survival, or how to run through a desert. It has been as much about good luck and fortune as it has about persistence and determination for me. I’ve fumbled and stumbled through both experiences clinging to the belief that I’m strong enough to face every challenge head on. 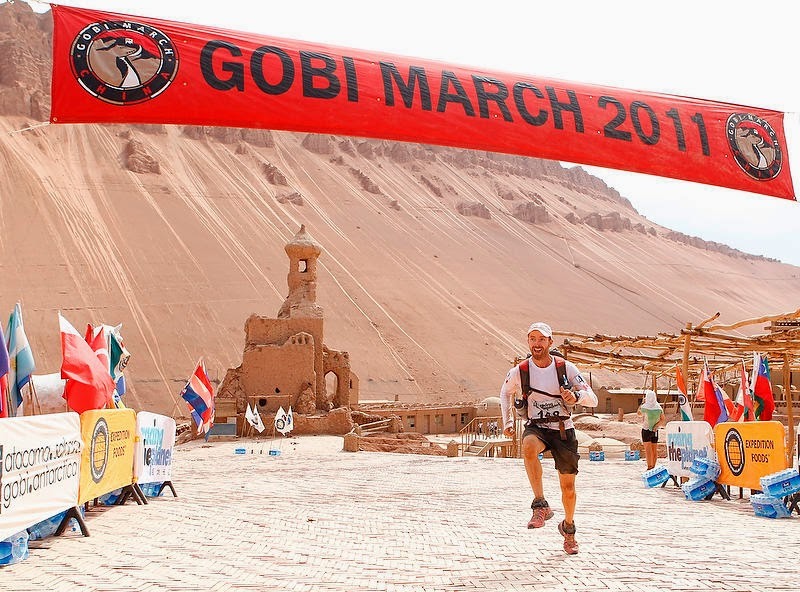 What I did learn out there in the Gobi is that I am strong enough—that we all are. The storms in our lives may last a night, a week or a year, but there are just some things that they can’t tear away from us. As I ran that final 14km, through some absolutely beautiful and rugged terrain, my blistered feet barely touched the ground. It was a feeling that I’m not sure I’ll ever be able to put into words; and maybe I don’t want to. Crossing the finish line didn’t feel like the ending of something significant; it felt like I was crossing into the beginning of something monumental.